Amanda’s coaching philosophy is centered around the concept that positive behavior and consistent, quality training will yield positive results. An athlete doesn’t need to be talented to be successful. It's earned through a relentless work ethic, adaptability and belief in the process. 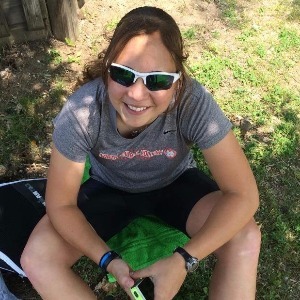 She takes an individualized and educational approach to endurance coaching built on the foundation of data analysis, mental readiness and fueling to help the athlete tackle and overcome barriers to success. Amanda’s coaching career began with marathon training where she lead two athletes to Boston Marathon qualifications. At the Olympic distance, she has had several athletes qualify for the USAT National Championships and capture podium finishes. Her experience at the Ironman level includes leading numerous athletes to personal best finishes and aided in the development of their race-day fueling plans. Amanda has hosted various educational clinics including mental strength development, mastering transitions and how to train with a power meter. Amanda has been competing in endurance sport since 2001 when her running career began. As a collegiate runner, she earned several regional and national accolades for her performances in cross country and track including a North Central College school record in the 3000M steeplechase. As a triathlete, she brings in top age group finishes at the Olympic and sprint distance. Her current focus is predominantly Ironman 70.3 and Ironman 140.6 races. In 2015, Amanda finished 4th in her age group at Ironman Wisconsin. In 2016, Amanda placed 3rd at Ironman Steelhead, earning a slot to the 70.3 World Championships in 2017. Amanda is the Elite Athlete Coordinator for The Mohawk Foundation, a triathlon club dedicated to curing breast cancer and fighting ALS. She also coaches alongside Steve Brandes of Next Level Triathlon in Madison WI. The ability to work hard and believe in the process! Success. Coach Amanda Marek has been notified of your message.